Cities throughout the United States including Jacksonville and in various parts of the world saw droves of people demonstrating in response to the inauguration of President Donald Trump. 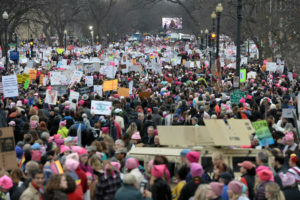 Mobilized by rhetoric in his campaign they found racist, sexist and intolerant of marginalized communities, hundreds of thousands of women and men took to the streets with placards and picket signs, taking stages and shouting through bullhorns to send a message to counter what they fear could be four years of regression under the new commander-in-chief. 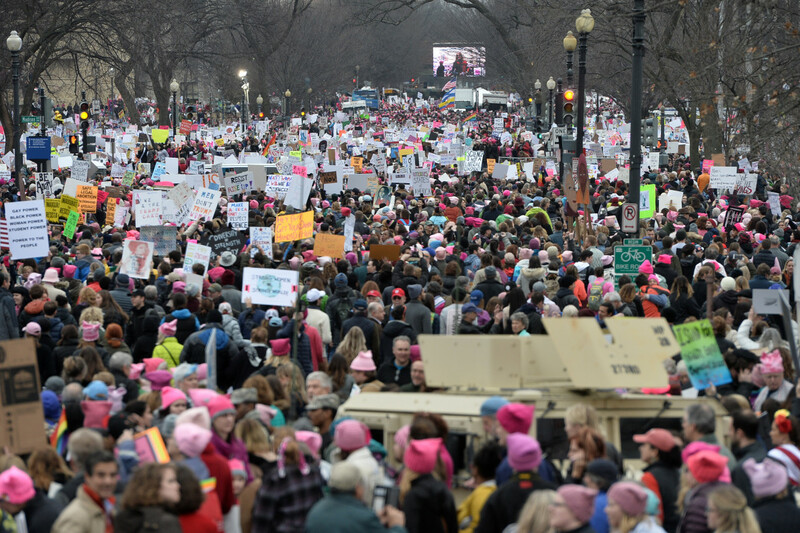 The Women’s March on Washington was primary among the events and the 500,000 who showed up was twice the 250,000 that attended the inauguration ceremony. There was plenty of celebrity star power at the March. Singer Alicia Keys got the crowd excited with “This Girl is on Fire” and Janelle Monae took the stage with the Mothers of the Movement including the mothers of Jordan Davis, Trayvon Martin and Eric Garner. 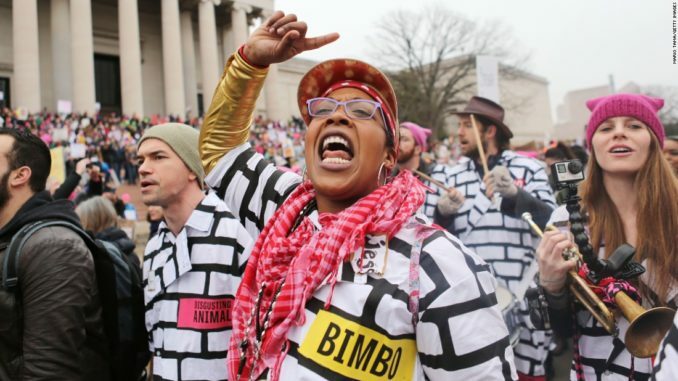 Melanie Campbell, head of the Black Women’s Roundtable, said the March sent a message to all elected officials that women were going to fight for their issues no matter who is in office. Campbell said the number one issue that concerned Black women was affordable health care – ironically the exact thing the new administration is trying to dismantle. Millennials, she said, were worried about criminal justice and policing reform. All groups living wages and voting rights. Her words rang true among the Black Women of Congress who stood in solidarity with the March’s organizers. At the March were congresswomen Yvette Clarke, Barbara Lee, Gwen Moore, Sheila Jackson Lee and Terri Sewell, among others. Veteran legislator Maxine Waters noted the group’s opposition to attorney general nominee Jeff Sessions and education secretary nominee Betsy Devos. “And you better keep your hands off of Planned Parenthood,” Waters warned.